Waltzingmouse Day 3 -Sneak Peek - Some Feng Shui! Welcome to Day 3 of the DT Waltzingmouse Sneak Peeks! 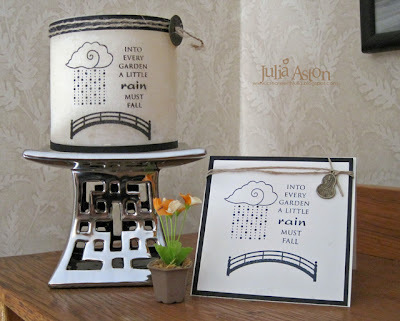 Today I'm highlighting the Asian Gardens Additions set! I found this wonderful silver Asian style ceramic candle holder at TJ Maxx and More - so I just had to decorate a candle to put on top of it! I stamped the images on tissue paper - placed the tissue paper against the candle - wrapped waxed paper around the candle and heated over the wax paper and image with my hot gun. This melts the tissue paper into the candle and it ends up looking like I stamped directly onto the candle! I added a strip of black card stock at the top and bottom and tied twine around the top with an Asian coin. I made a matching card to go along with the candle in case I give it as a gift to someone! Now you'll want to check out Claire's blog as well as these DT members who are posting sneak peeks today too! Tomorrow (7/1) is release day for all 6 of Claire's new WMS stamp sets! whoo hoo! I hope you have your list ready of what you want to purchase! Claire's stamps seem to sell out quickly! We'll also be having a DT Blog Waltz tomorrow - so please to be sure to come by! It will start at Claire's blog at 2 pm EST. 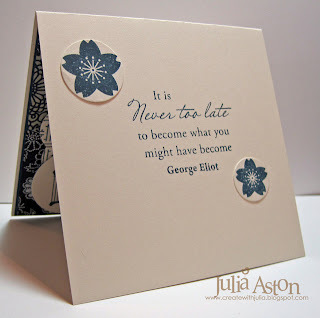 And you will have 2 chances to win free stamp sets! 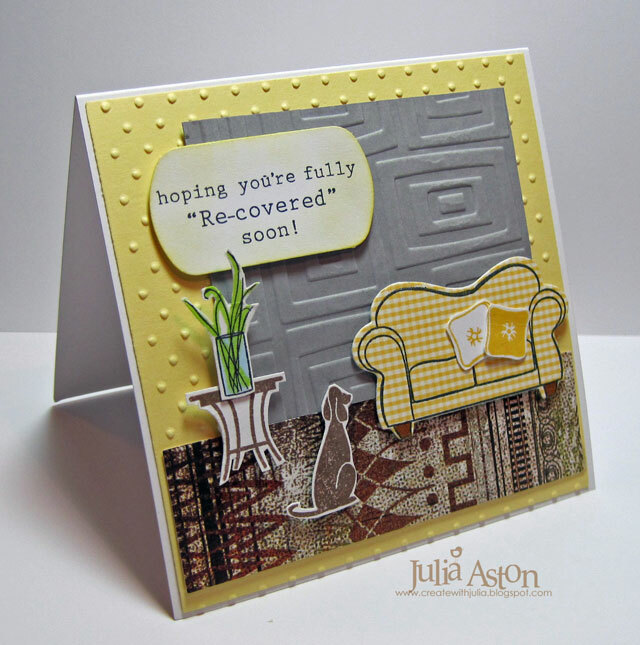 Today I have another Sneak Peek from the Rescue Remedies stamp set that will be released on July 1. I love making packages for gift giving so this set is right up my alley! 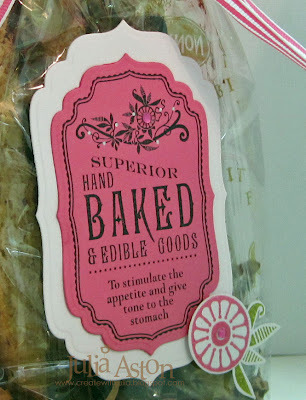 Today I used the label stamp that says 'Hand Baked & Edible Goods" how fun is that! 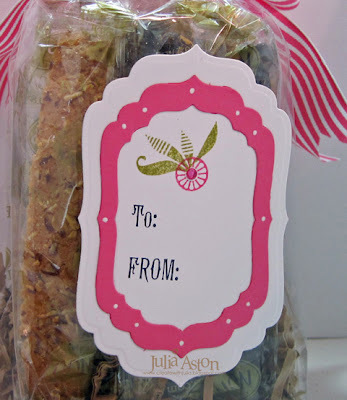 So of course I decorated a bag and packaged some edible goods in it! 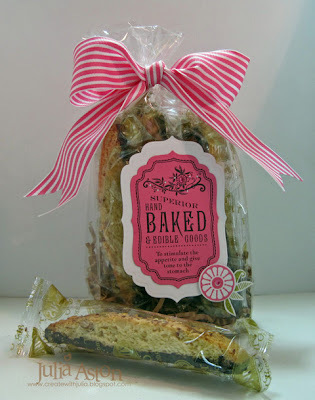 I filled my clear flat bottom bag with 6 biscotti dipped in dark chocolate - Yum!!! (although NOT hand made!). Today I wanted to use this set without sponging or distressing to see if it still works using bright colors and a more modern look - and I think it does don't you?? All I added was a little bling to the center of the flowers and some white gel pen dots on the vines. I stamped the big flower and leaves, cut them out and added them to the bottom of the tag with a foam dimensional. Here's the label I made and attached to the back of the bag - so the receiver will know just who gave them this wonderful hand made, beautiful, delicious gift!!! And just a reminder - these label stamp set fit the Labels Four Nestabilities! 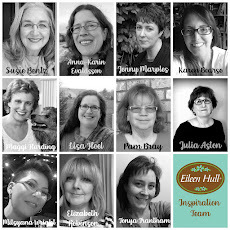 Now please check out Claire's blog as well as these DT members who are posting sneak peeks today too! I hope you'll stop by again tomorrow - I'll have a sneak peek of another new set!! 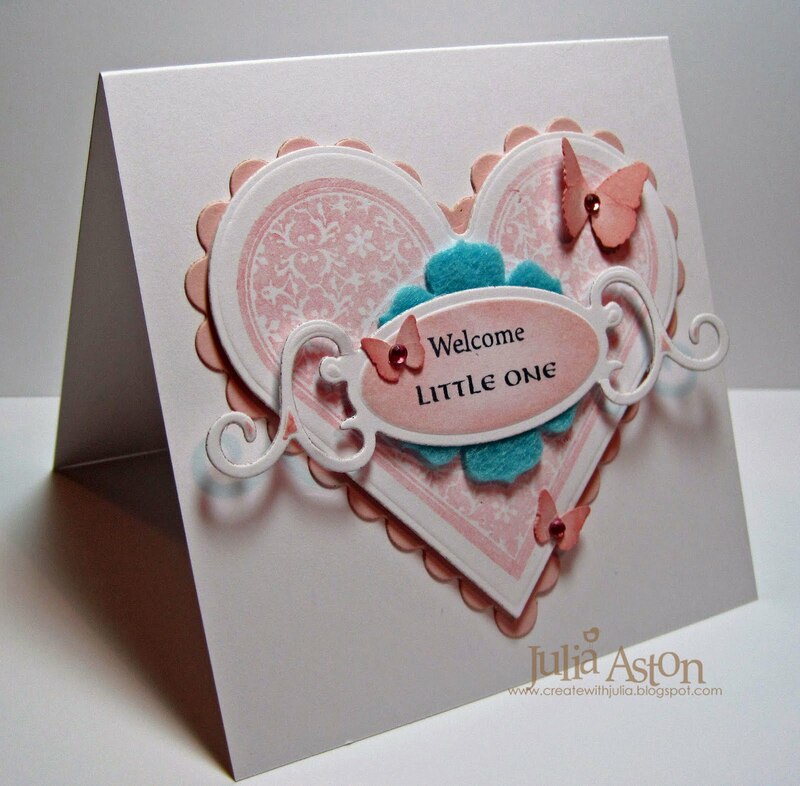 Welcome to the first day of the Design Team Sneak Peeks for the Waltzingmouse July release! Claire has created 6 new sets for us this month - and just wait until you see them!!! I started out with this pump bottle of body lotion that I picked up at a discount store - notice it's colorful modern label! 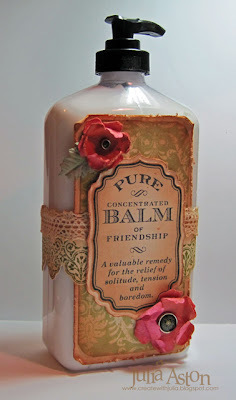 Using stamps from Rescue Remedies and Victorian Fripperie I transformed this modern day bottle into a vintage style gift that any lady would love to have sitting on her bureau or bedside table! 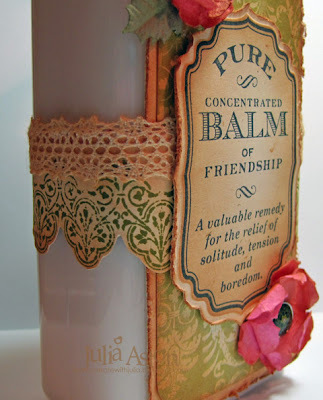 This wonderful vintage label (from Rescue Remedies) is designed to look like an old medicine bottle label - There are 5 labels in this fun set! AND they fit in the Labels Four Nestabilities - whoo hoo!! 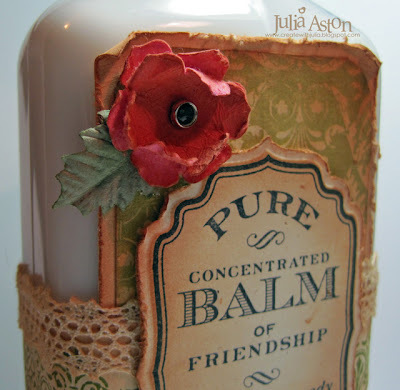 I stamped a panel of the Victorian Fripperie background stamp to wrap around the bottle. I added a pretty lace ribbon along the top edge. Everything is sponged in Ranger Tea Die Ink. Most of the edges have been distressed. 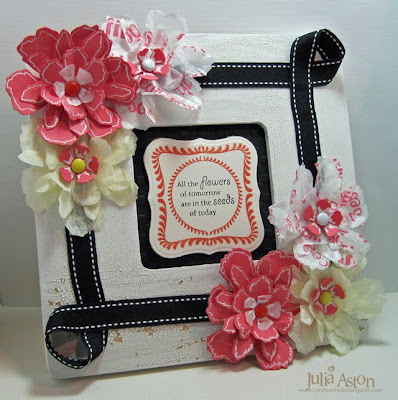 I found a great tutorial for these vintage look flowers - each flower is made from a piece of card stock cut with a flower die that you crease and fold and crumple until the layers start separating. Then you fold up each petal till you like how it looks and add a brad to the center. Easy peasy and they look so wonderful don't they?! 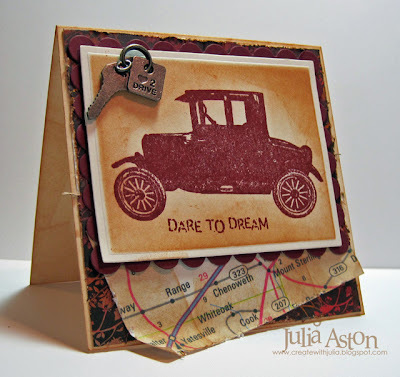 Now you really need to check out what new stamps Claire and these other DT members are spotlighting today! 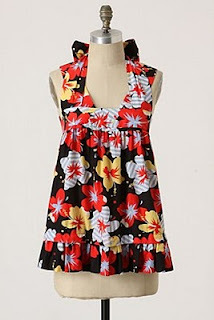 Please stop by tomorrow and I'll have another sneak peek for you! Ink: Memento Tuxedo Black, Ranger Tead Die and Peeled Paint Distress Inks. 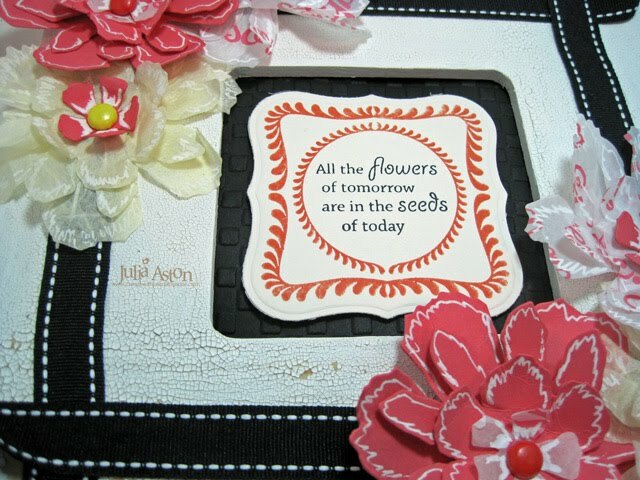 Accessories: Flower dies- PTI, Basic Grey Enamel Brads, Ranger Distresser, lace - Ellen Hutson LLC, sponge, foam dimensionals, Scor Tape, Label Four Nestabilities, Prisma Leaf, corner rounder. Please scroll down to see my Speedy the Cat's Friends Challenge card on the post below this one! Welcome to week 4 of the Waltzingmouse Saturday Sketch Chellenge! Be sure to check out who won from last week and the deets for this weeks challenge over at the challenge blog. I thought this weeks sketch was kind of challenging - it seems pretty specific with all those circles doesn't it?? I really wanted to use my Asian Gardens stamp set for this challenge. At first I thought I would just stamp the Sakura flowers and have them all in a circle - but that ended up looking kind of 'blech' !!! LOL! So I came up with the idea of using a large scallop circle nestability frame - making an outline circle by cutting a larger circle die with a smaller one inside. Then I stamped it with the background stamp in the set. 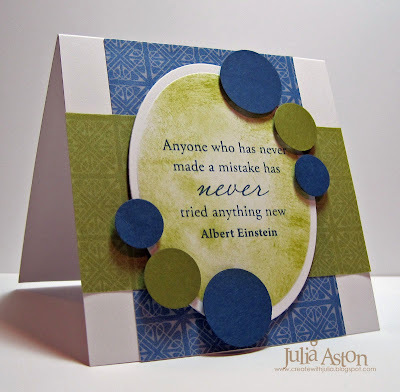 I used different size circle and oval punches for my images and sentiment. 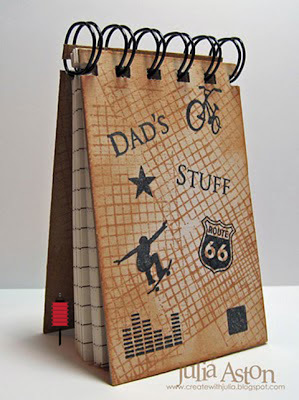 The ring and images are all popped up on foam dimensionals accept for the sentiment. These pretty origami paper panels are thick like cloth. I used two different patterns for the panels on my card. Here's what I stamped on the inside. This verse is from the Words of Wisdom set. So check out the challenge blog - make your sketch card and get it posted on Mr. Linky by Thursday 7/1/10 at 11:59 pm EST. I can't wait to see what you create this week! 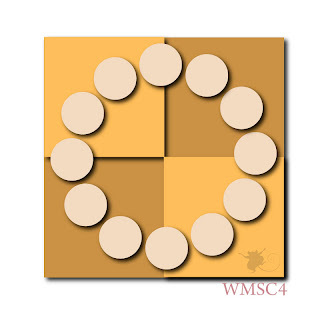 If you post on Split Coast please use WMSC4 in your keywords! PRIZE NOTICE! 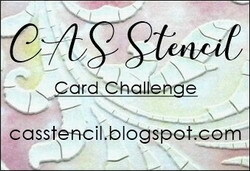 : this week - if we reach 100 people linking their cards to the sketch challenge - one lucky winner (chosen randomly!) will win a stamp set of their choice - AND it can be from the July 1 release! Whoo hoo! Claire and the Design Team will be having sneak peeks of the new sets starting Monday 6/28 so be sure to check back! There are some really super stamps coming out on 7/1 !!! Accessories: Big scallop Circle Nestabilities, Large oval punch - SU, 3/4", 1" & 1 1/2" circle punches, foam dimensionals. I stamped the flower 3 times on purple DP and colored over parts of it with a Copic marker to give it some depth. 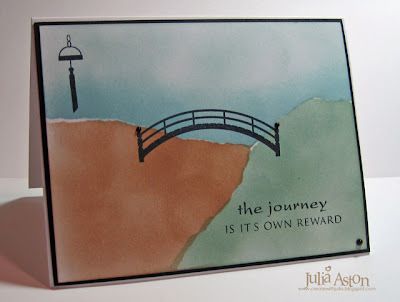 I cut out layers from each stamping and popped them up over one another for even more dimension. I layered the whole bloom onto a lime panel cut with a Big Scalloped Circle Nestability. 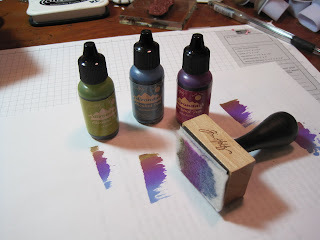 The sentiment is cut with a Fancy Tags Shapeability that I sponged with Milled Lavender Ranger Distress ink before taking it out of the die. I colored the two small flowers with a Copic and layered them over the tag. And finally - I added some tiny bling to the flower centers and on the DP. 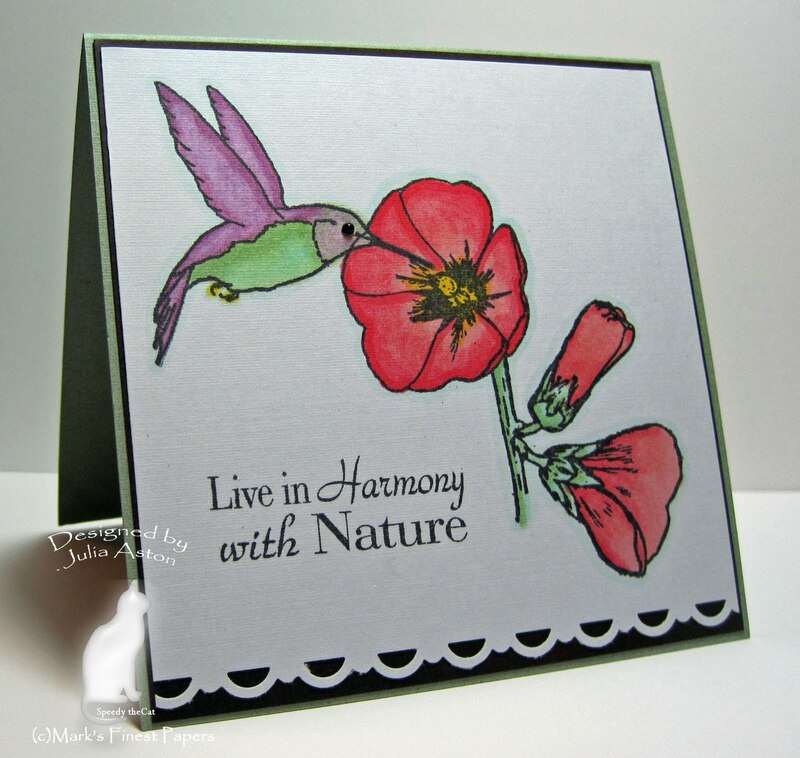 We'd love to have you join us in the challenges over on Marks Finest Papers Blog and to link your 3 flower card there. You could win a free stamp set! Accessories: Big Scalloped Circle Nestability, foam dimensionals, Copic- BV31, sponge, Fancy Tags Shapeabilities, pink gems - Crystal Stickers, Flowers - Michaels (Bridal section), glue dots. 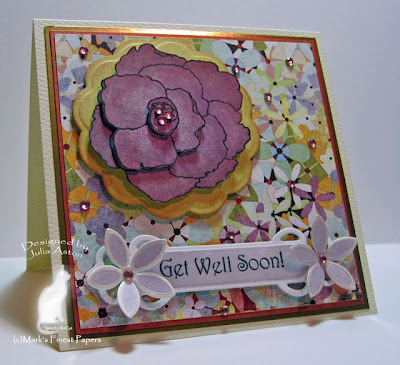 Pam Wooten (Iris on SCS) was the Featured Stamper on Split Coast this week - what bright fun cards she has in her gallery. I chose to CASE her Car Classic card . I used an even more vintage car than she did (a model T!) 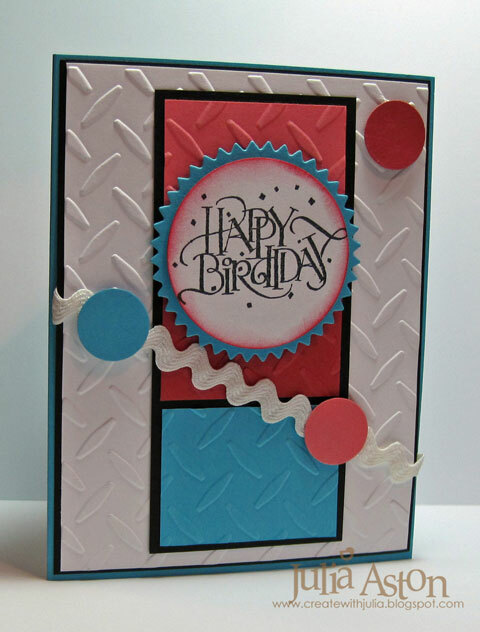 changed the size of the card and the colors, but kept the same general theme! My stamps are all from Rubbernecker Stamps . (Note - Rubbernecker is revamping their web site to be more user friendly and so it appears to be out of commission right now - keep checking back, I'm sure it will be live again soon!) I did a lot of sponging with Ranger Distress Ink and distressed the edges. I used rectangle and scalloped rectangle nestabilities. Thanks for stopping by today dear friends! Advance notice: I've got some great WMS sneak peeks coming up starting on Monday of next week - Claire is releasing 6 new sets on July 1 - whoo hoo!! Wait till you see them! 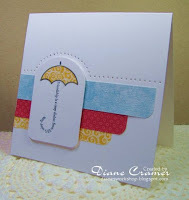 Today's Clean and Simple challenge on Split Coast was to follow the sketch based on Diane's pretty card below. 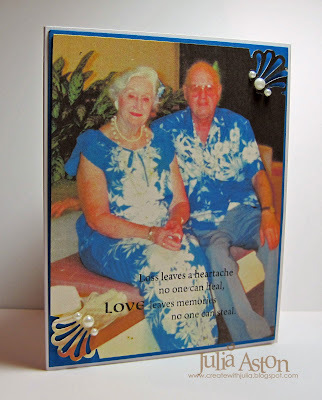 And this is the card I created. I used this applicator from Ranger to apply the ink to the card. The felt pads stick to the velcro on the wooden applicator. 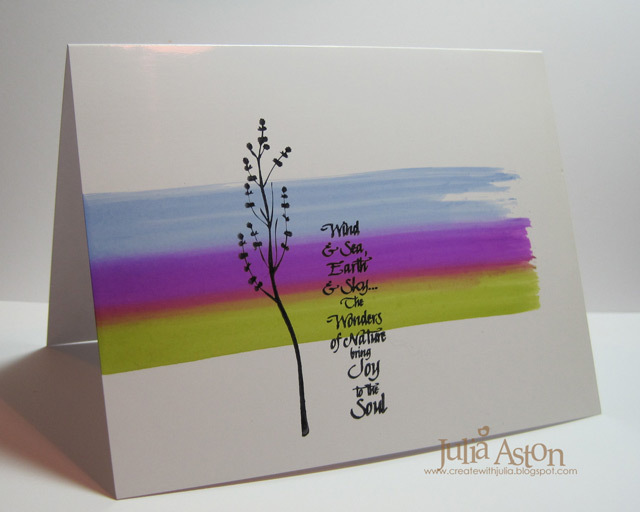 I used Wild Plum, Lettuce and Stonewashed alcohol inks by Adirondack. 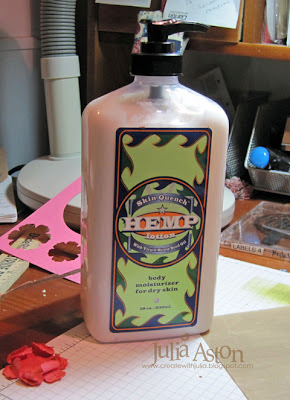 The weed and sentiment stamps are from Rubbernecker. To see my card for the Saturday Speedy the Cats' Friends Challenge please scroll down to the post below! Can you believe it's already the 3rd week of the Waltzingmouse Saturday Sketch Chellenges!?! Be sure to check out who won from last week and the deets for this weeks challenge over at the challenge blog. Are you ready for the next one?!?! Well - here it is! 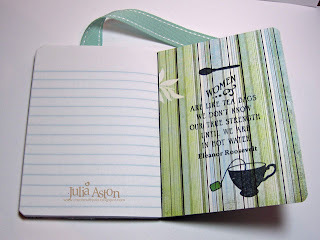 Since I'm a list maker - I love making or altering notebooks to keep in my purse or on my work table. 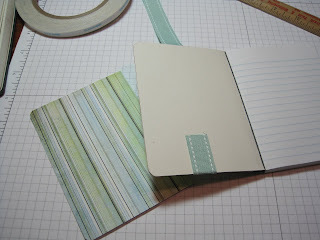 Today I altered a little 3 1/4" x 4 1/2" Composition Notebook (you know - the kind with the black and white fronts?!) They have them at CVS and Staples. I used the sketch for the design on the front cover. I suggested this sentiment to Claire when she told the DT she was going to design a Tea Stamp set - so I've been dying to use it on a project!! 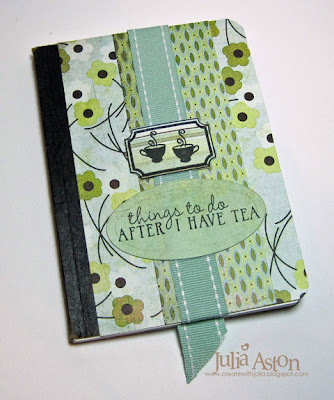 I used both Afternoon Tea and Afternoon Tea Sentiments on this project. I wanted to share a few pictures of how I put this together. 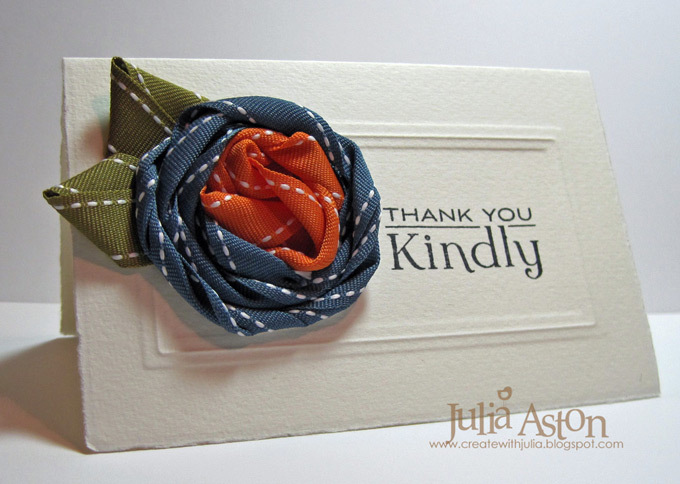 The ribbon actually extends beyond the top so it can be used as a bookmark. The ribbon is 11". 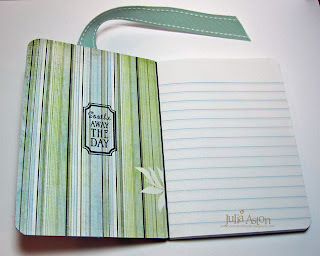 Below you can see how I put Scor Tape on the lower section of the ribbon (about 5 1/2") just make sure the untaped part of the ribbon will fold over into the notebook and have at least 1/2" extend out the bottom (see my first pic above). I folded a little bit around onto the bottom inside of the front cover to hold it in place before I adhered the inside DP. I had the tape long enough to adhere to the front cover but not past the top edge. And here is what I stamped on the inside of the back cover. 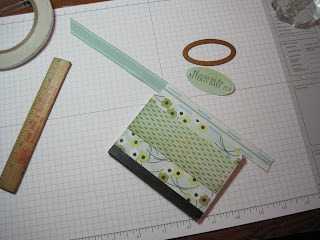 These are the measurements for the panels in case you would like to try this on the same size notebook. 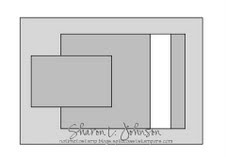 Outside covers - cut 2 - 2 7/8" x 4 1/2"
Strip for front cover - cut 1 - 1 1/2" x 4 1/2"
Inside Covers - cut 2 - 3 1/4" x 4 1/2"
So get your sketch card created and add it to Mr. Linky over at the WMS Challenge blog ! ETA: the Deadline is Thursday 6/24 11:59 PM EST. If you load your card on Splitcoast or other galleries please use WMSC3 in your keywords. Welcome to Speedy the Cat's Friends challenge! 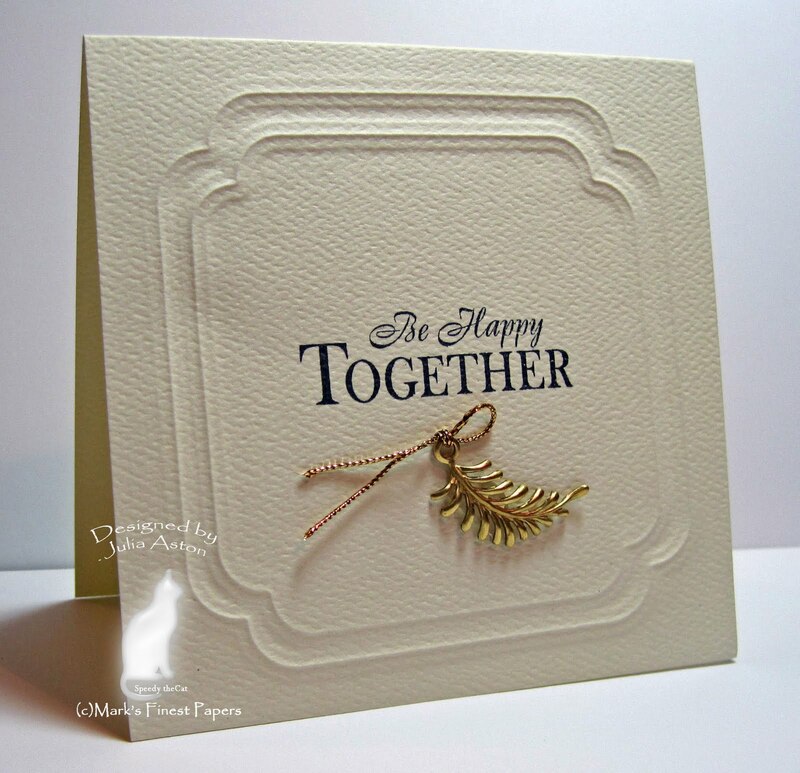 This Saturday the challenge is to use embossing on your card. 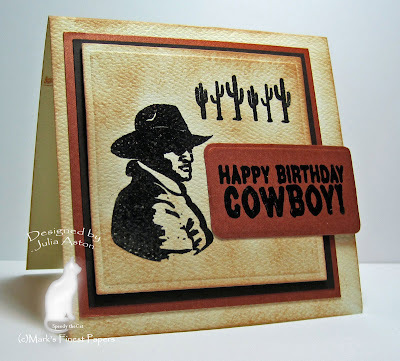 These great cowboy stamps are from a set called Southwest Cowboy that will be released in July by Marks Finest Papers. I black embossed the cowboy, row of cactus and sentiment on a panel cut with a square Nestability. The copper color paper is a wonderful metallic paper from MFP - I'm afraid you cannot appreciate the shine in the photo. 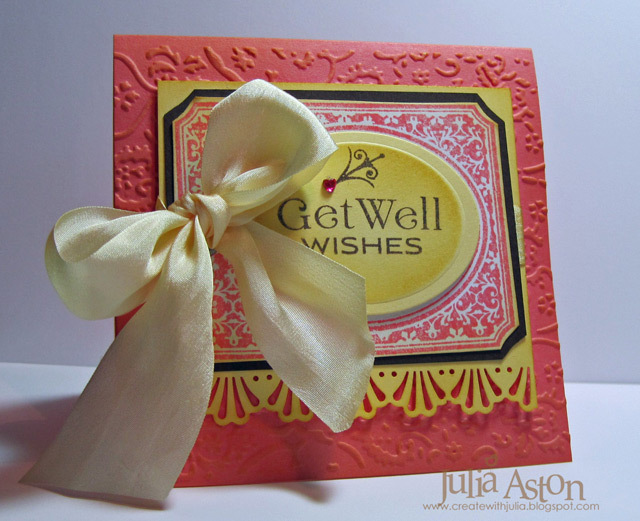 I sponged the textured cream cardstock (also MFP!) with Ranger Tea Dye ink to give it that dusty desert feel!! Here's what I stamped on the inside of my card. I just love the barbed wire! What a great set for those masculine cards we all need from time to time! 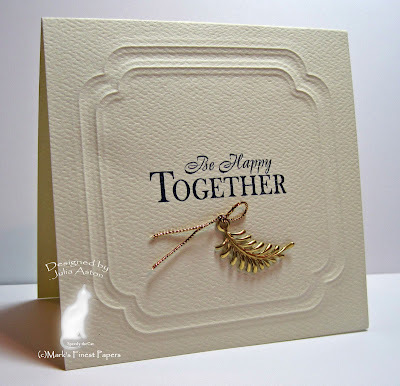 We'd love to have you join us in this embossing challenge - jump on over to Marks Finest Papers Blog and link your embossed card there. You could win a free stamp set!! If you load your card on Split Coast please use Speedy's Friends in your keywords. I love when I can hit two challenges with one card! The Clean and Simple challenge over at Split Coast on Monday was 'things that fly' - and the New Technique challenge was to make a one layer card. So the flying component is obviously my cute little stamped plane with it's message flag from PTI. I've been dying to use this little set and this seemed the perfect challenge! I attached a little gem star to the tail of the plane but you can hardly see it in the pic. I adhered the full panel to the card stock so I hope this still qualifies as one layer!? I colored the images with copics to coordinate with the house colors. Inside I stamped another banner with 'Happy Birthday' on it. Advance Notice! Friends of WMS Blog Waltz Coming 6/17! We hope you have all marked your calendars for Thursday, June 17th... the date of our monthly Friends of Waltzingmouse Stamps Blog Waltz! They are always on the 17th of each month so that you can plan ahead. The fun will begin at 7:00 am Pacific, 8:00 am Mountain, 9:00 am Central, 10:00 am Eastern, 3:00 pm GMT! Our theme this month is Let's hear it for the boys... masculine cards/projects! 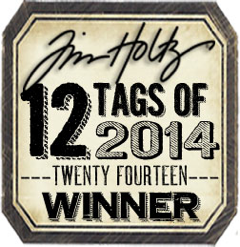 All we ask is that you use Waltzingmouse Stamps stamps (and/or templates) for your blog waltz cards/projects. As always, the festivities will take place in the Play Room in the Waltzingmouse House forum. (If you haven't registered yet for the forum, it's just a few clicks away!) The threads will go live when the waltz begins... one for you to post your blog address if you are participating in the waltz, and another for chat. And of course there will be prizes!!! A stamp set of choice awarded randomly to one of those who participate in the Blog Waltz, and a stamp set of choice awarded randomly for one who correctly states the number of special watermarks found on the Design Team (and Claire's) cards/projects! 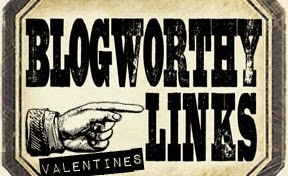 We'd love it if you would post the Blog Waltz badge above on your blogs to help spread the word, linking back to this post. For those who participate in the waltz, please include the Blog Waltz badge at the top of your post so that we can easily find you. 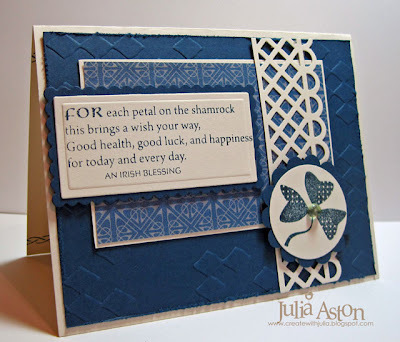 I have two cards to share with you today - both from Split Coast Challenges. Thanks to Anne, the host for this week, for the lovely vintage web site Roses & Teacups to inspire us for the Inspiration Challenge. I do not usually do (nor am I very good at!) shabby chic vintagey stuff - BUT I have some new vintage photo stamps from Rubbernecker Stamps that I have been wanting to try out! 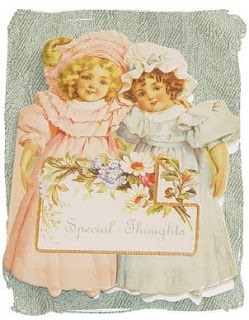 So my inspiration was this Victorian Thank you card. I inked the sweet sister image (Vintage sisters #502-04 ) in Ranger Distress Vintage Photo ink and colored it with coloured pencils and gamsol. 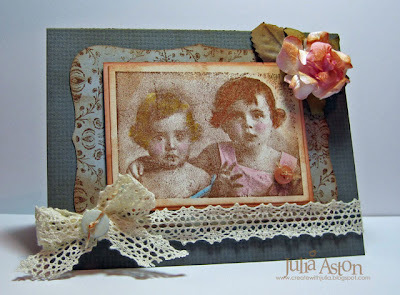 The background Nestie Labels 8 panel is stamped with the Victorian Damask Panel #498 in Vintage Photo ink. I sponged all the edges with Ranger Distress Tea Dye Ink. The rose is from a set of three from Michaels I found in the bridal section - I sponged it with Tea Dye ink to make it look aged. I was pleased with how this came out - maybe I CAN do a little shabby chic once in a while! 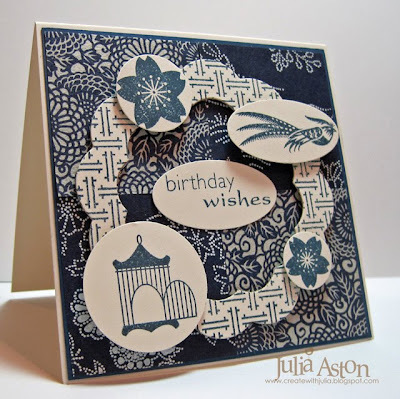 My second card to share with you was made for the Featured Stamper challenge. 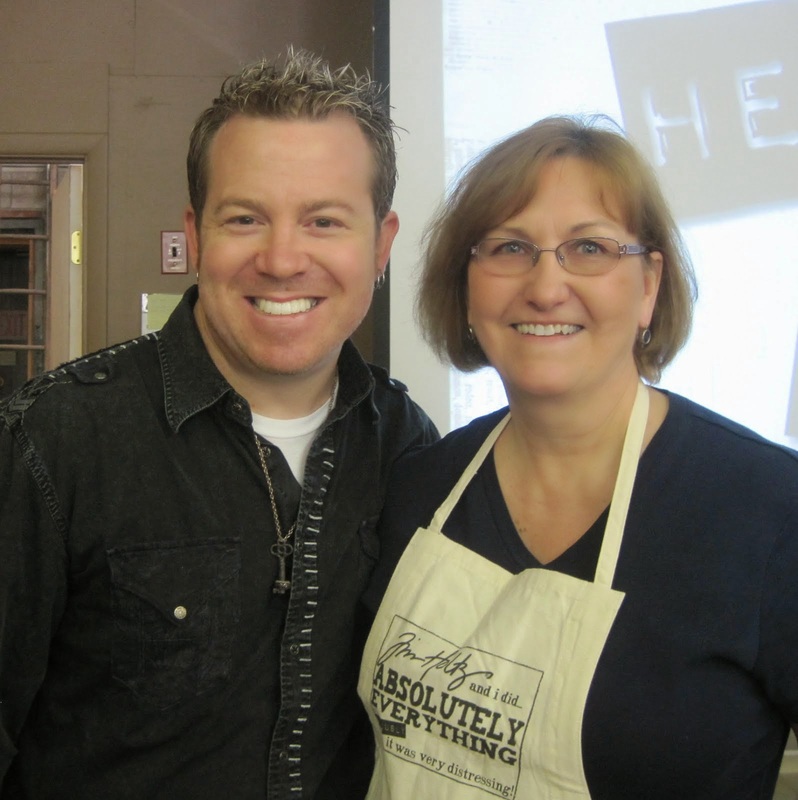 I was so happy to see by good blogging friend, LeAnne, as the FS today! Her cards are super so it was easy to find something I wanted to CASE. I chose her Pocket Silhouette card. 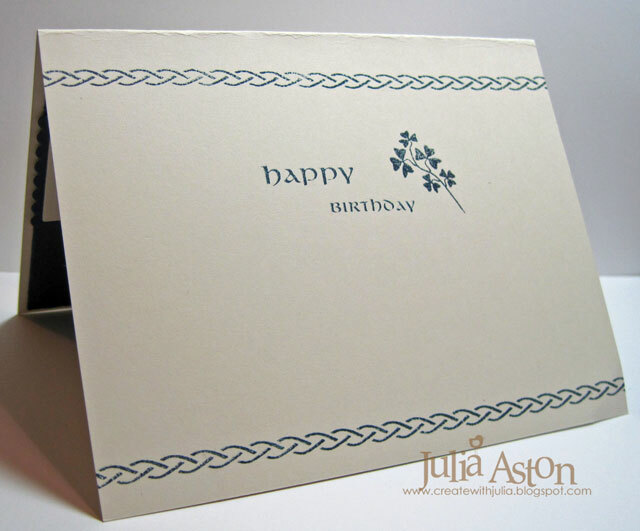 I used different stamps, a different edge punch and I centered the sketch. I also used River Rock instead of Sahara Sand. 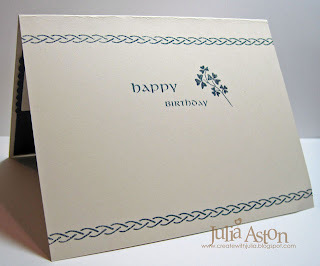 All the stamps on my card are by Rubbernecker Stamps I used a Vine stamp on the background panel - the Victorian Damask panel stamp on the strip - both using white ink. 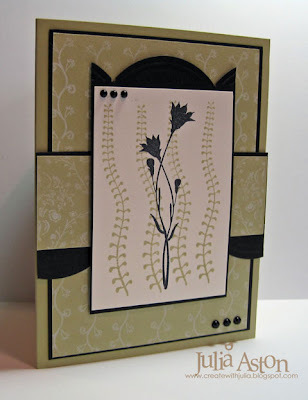 I stamped another vine stamp for the main panel in River Rock ink with a weed stamp (#497-04) over it in black. Reminder to check out these two weekly challenges! To see my Speedy the Cats' Friends Challenge card, please scroll down to the post below this one! Welcome to the Saturday Waltzingmouse Sketch Challenge. Here's the sketch Claire designed for us this week - isn't it a great one?!? And here's my card using the sketch. 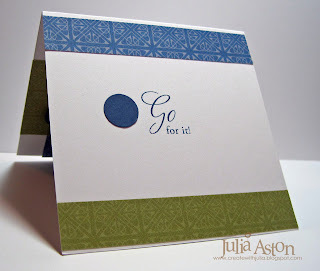 Today I made a masculine card - using darker colors and just plain punched circles instead of flowers. I used Claire's Digital DP Celtic Squares and the quote is from the Words of Wisdom set. I sponged the oval before taking it out of the Nestability die. Come along and make a card using this great sketch! 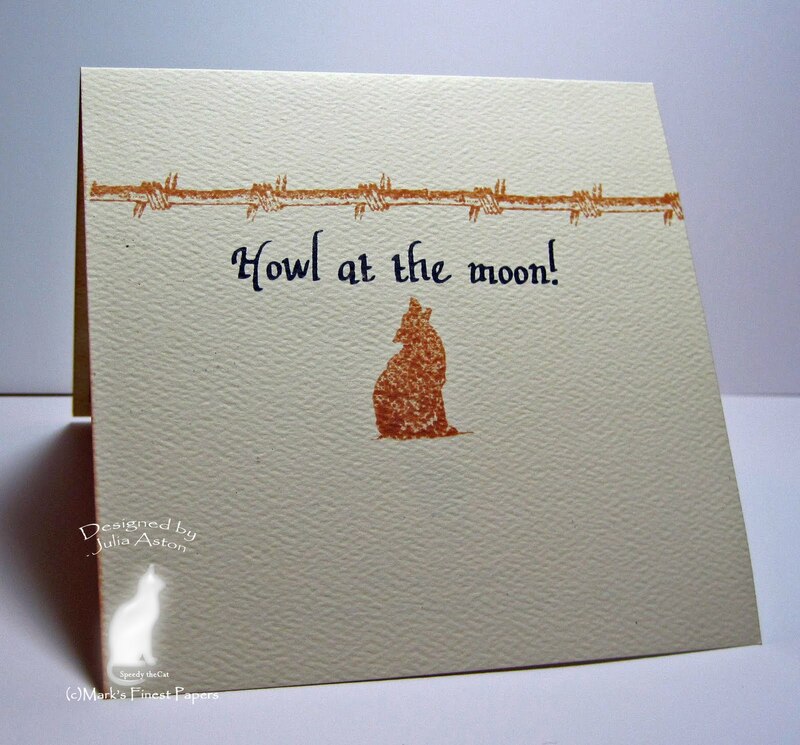 You can use any stamps on your card - but if you have Waltzingmouse Stamps we hope you'll use them !?!? 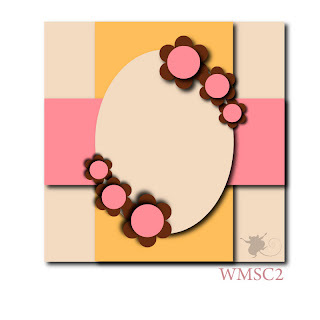 If you load your card in your Splitcoast gallery please use WMSC2 in your keywords. 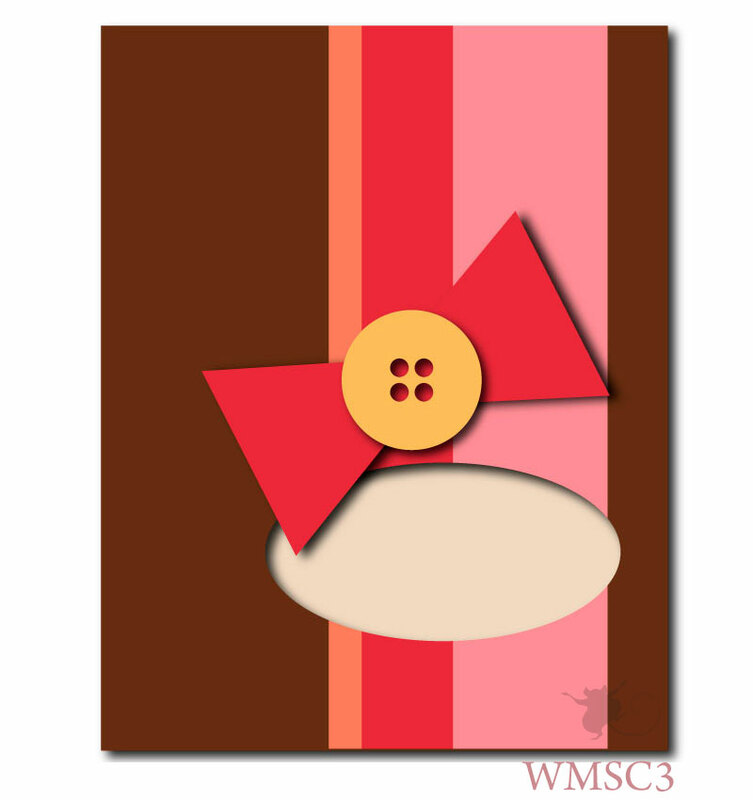 The First WMS Saturday Sketch Challenge!